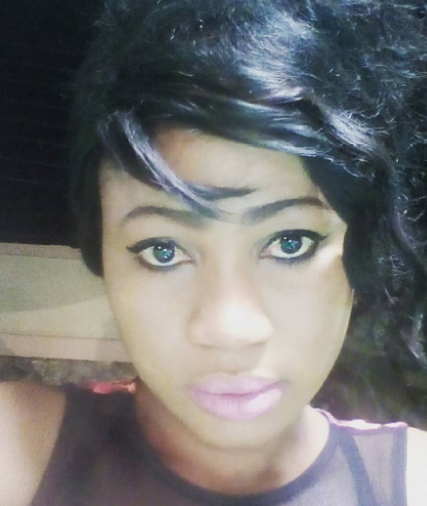 Budding Nollywood actress Bewaji Folashade has recounted her near-death experience in the hands of some suspected kidnappers in Ibadan Oyo state. The actress who was returning from a movie set in Akobo area of Ibadan said she was kidnapped by two men on motorbike around 10:20pm at Adeyemi Street on Wednesday. Folashade said the moment she noticed the men were taking her to a location that looks unfamiliar she started to struggle with them in order to attract the attention of people. 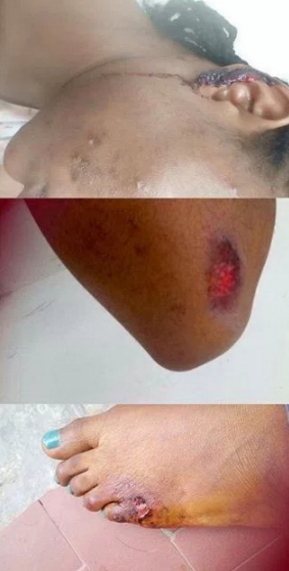 See photos of the injuries she sustained while struggling with the suspected kidnappers.